October | 2016 | Poverty, Agony, Distress & Want! Don’t you just love when you know something is going to happen? I’m not really talking about déjà vu or anything like that, but just this sense that there is inevitability to a situation? We’ve all been there. In my case, it’s a ritual for this time of year…because it invariably happens every year. There’s always this glimmer of hope that maybe you’ve dodged the proverbial bullet for a change, but alas it is not meant to be. It’s been occurring now for such a long time that the only remedy to the situation is to change my patterns, which will not happen in the foreseeable future. So I guess I’ll just have to deal with it! Well, it’s October kids. Is it just me, or does time go by faster the older you get? I can’t seem to keep up anymore. A month of school has blown by in a heartbeat. It was certainly tough to get back into the routine of work after being off for so long, but I guess it’s like riding a bike…18 years of experience also helps too! I am thoroughly back into the swing of things and boy is it insane. Every year I say it can’t get any worse and it seems like it does. Pretty soon it will just be time to have a heart attack and be done with it. Just kidding! As usual, one of the main causes of my lunacy is football. It really has me burnt out…seriously! Ethan and Noah are both playing again this year and of course their schedules do not sync; I have not been home before 8:00 in weeks. When Ethan plays on Tuesdays, it is 10:00. As well, I am coaching Noah’s team and doing a lot more than I ever have, namely running the offense. I have never coach offense before in my life! Both of their teams are struggling a bit, but it’s more about the participation and experience than the wins and losses. The high school team is doing well, just having picked up our second win of the season. Before I know it, football will all be over and a distant memory. With all of this craziness I have not had any time to do any railway work, until now I guess. A few weeks back I travelled, on a rather psychotic timeframe I might add, to Saint Cloud, MN for the Northern Great Plains History Conference. I kinda of underestimated how far Saint Cloud is away. I left work at 1:30 (12:30cst) and drove pretty much straight for 6.5 hours. I met up with my co-presenter Lori for a few hours before heading off to bed. I woke up, did the presentation for a couple of hours (which went great), had lunch and then drove 6.5 hours home. I was a wee bit tired after all of that. Oh well, it was a great experience, and I was able to snap a few photos of a cool abandoned railway along the way! 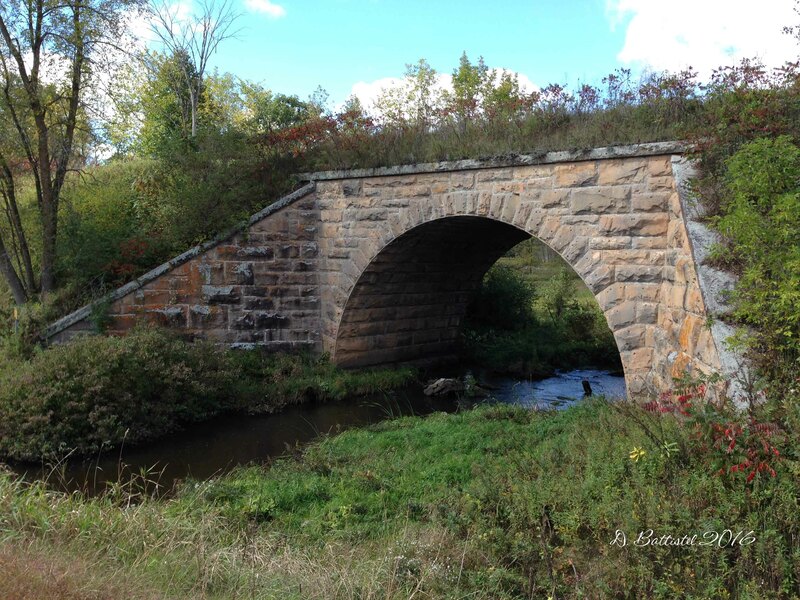 Great Northern RR stone bridge, South Fork, MN, September, 2016. 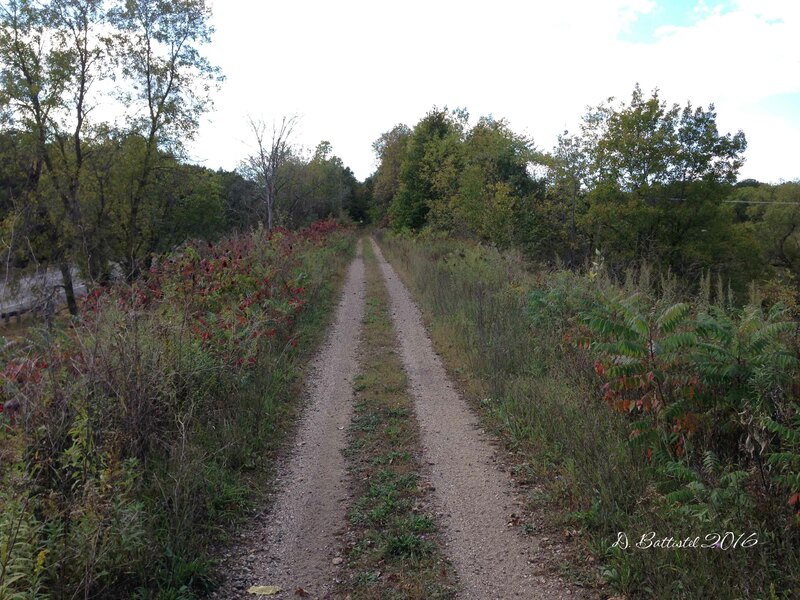 Great Northern RR, South Fork, MN, September, 2016. Besides being burnt out, I can feel myself running down. Some form of the plague has been making the rounds at school and a lot kids have come down with it, including a good chunk of the football team. Right now I feel very tired and am bit stuffy, but it hasn’t yet developed into a full-blown cold. I pray that it doesn’t happen, but my luck isn’t usually that good. Guaranteed it will hit me at some point soon…I can’t wait. So I’m currently in my room at the Cross River Lodge as it Canadian Thanksgiving weekend and as usual, I’m here at Gunflint for some field work. It’s always great to be here with the boys and visit with John and Rose. Besides, I really needed some time away from everything. Now since I mentioned presentations, I actually just finished doing one. I arrived here this morning and unfortunately the weather was not very cooperative. It rained until about 10:00, and then it was really windy and cold, so I had to scratch today’s visit to the Gunflint & Lake Superior. Since I was just hanging around, John asked me if I wanted to do a little chat about the railway. I don’t really like to talk much, so it was a tough sell on his part (cue the eye roll). He made some phone calls and by 5:30 there was about 30-40 people assembled to listen to me ramble on about the PAD&W. For an impromptu affair, it went really well. The best part was that I received a fantastic gift; a photo of the railway at Gunflint Lake circa 1910 that I had been wanting to get for quite some time. It was a nice end to the evening. The plan for tomorrow is to head across the lake to Bridal Falls and hike along a portion of the G&LS that I examined last year. I was not able to spend a lot of time along this section of the railroad, so hopefully I’ll be able to finish everything up and maybe find something interesting while I’m at it. My fingers are crossed that I won’t be too rough on the lake; the wind was pretty wicked today.